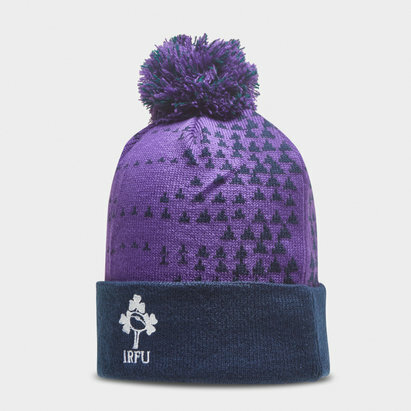 Whether it's out and about, in training or at the Aviva Stadium, make sure you look you stay warm in this Ireland 18/19 Fleece Rugby Beanie Hat from Canterbury. This bobble hat is green and designed for warmth during those tricky elements. 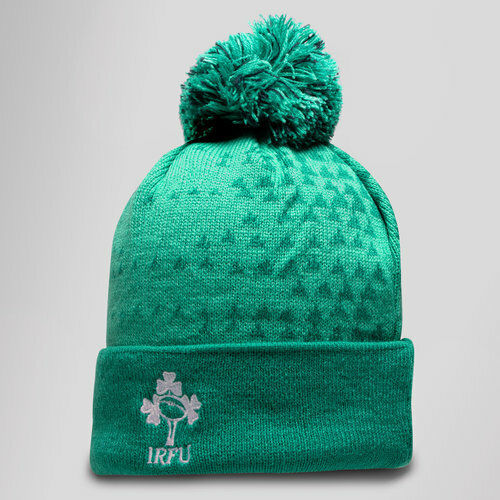 This hat features the symbol of the Irish Rugby Football Union. It is made from acrylic.